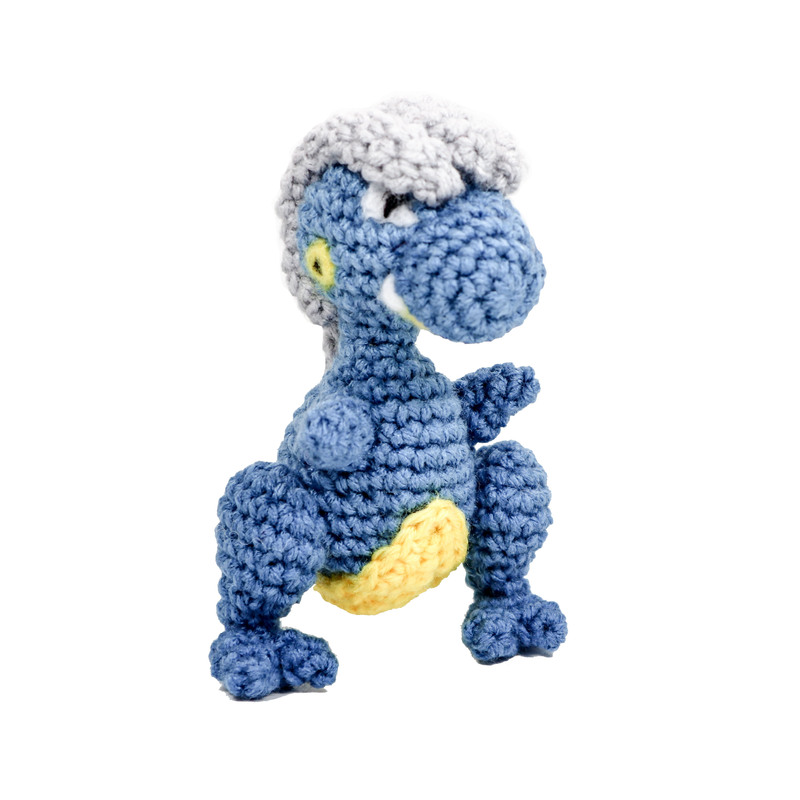 Bagon the little dragon dinosaur is what you might describe as a little bit hard-headed. Although he may be stubborn he’s sturdy and reliable, too! 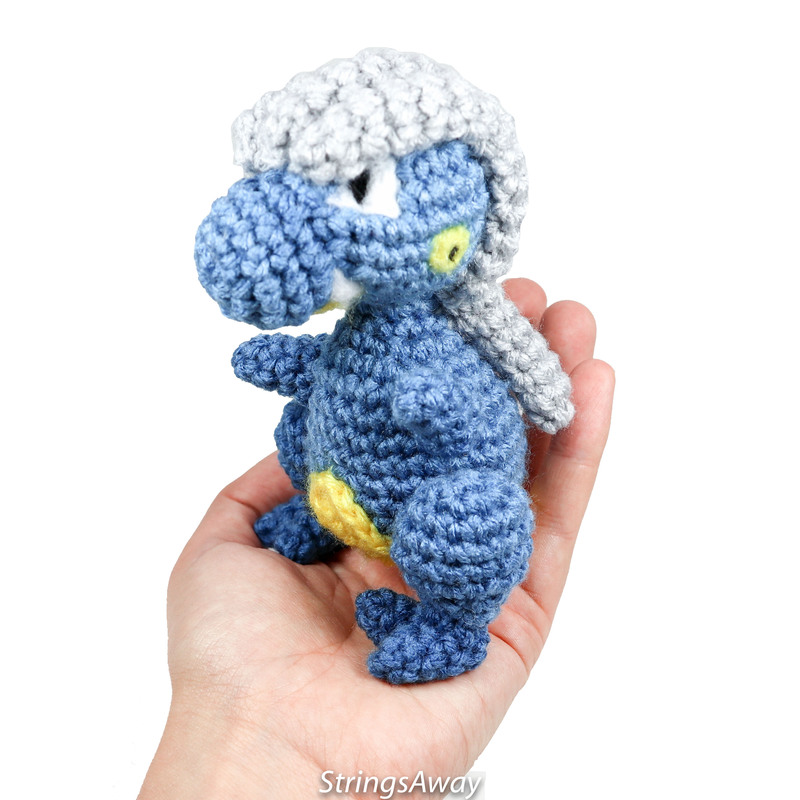 Crochet this little Bagon to add to your team of Pokemon Plushies. R24. Dec around (6) close hole, f/o. R4-R5. Sc around (15) two times. R5. Inc, Sc 5 (7) leave hole open, f/o leaving a long tail for sewing. Leave hole open and f/o leaving a long tail for sewing. Repeat this process again to make the second foot. R4-R22. Sc around (6) nineteen times. Close ring and f/o. R3-R14. Sc around (5) 12 times. Close hole and f/o leaving a long tail for sewing onto head. On the circular base skip over 3 sc from where the chain began and join to base with a sl st on the 4th sc. R4. Sc 2, inc around until you’re back at the base of the triangle. R5. Continue to Sc up along the right side of the triangle, at the top most hole add an inc (ie- sc 3 into the top-most point of the triangle) and begin descending working sc along the left side of the triangle. Add a sl st to join onto the circular base and f/o leaving a long tail for sewing onto the body. 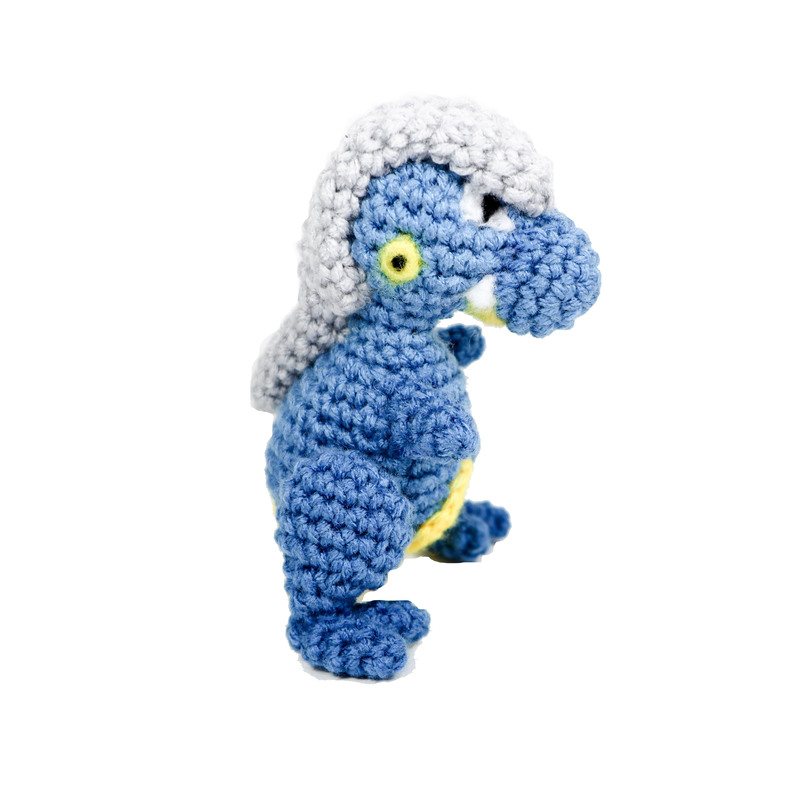 The back of Bagon’s body is more rounded. 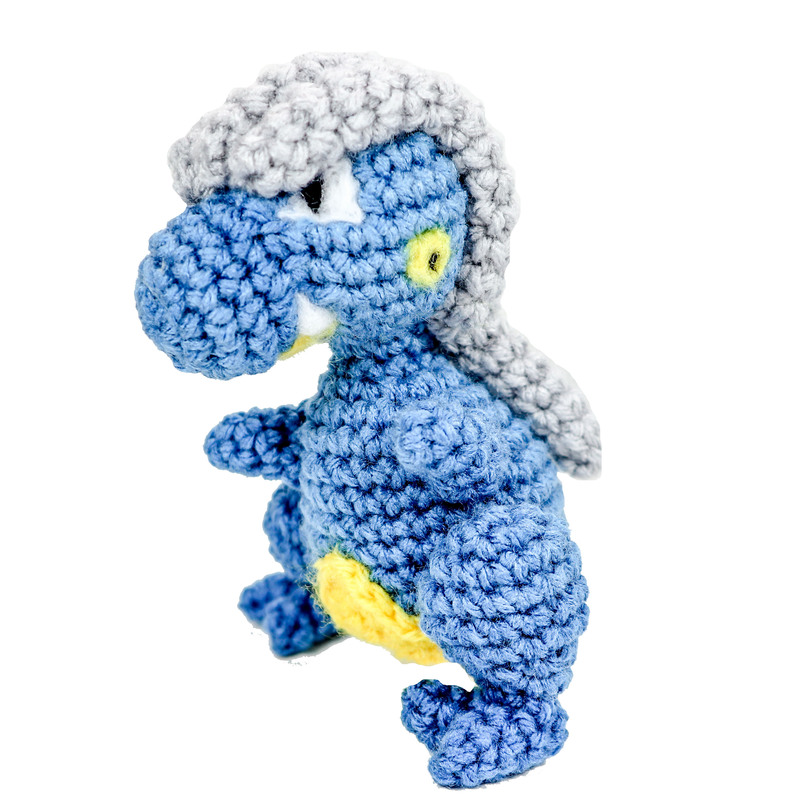 Attach snout to front of head. For “hair” (helmet?) Attach two side pieces fist –originating from top of snout and ending at back of head. Attach center ‘hair’ piece. Attach the yellow belly to the bottom centre of the body. Attach the feet to the legs and then the legs to the body. 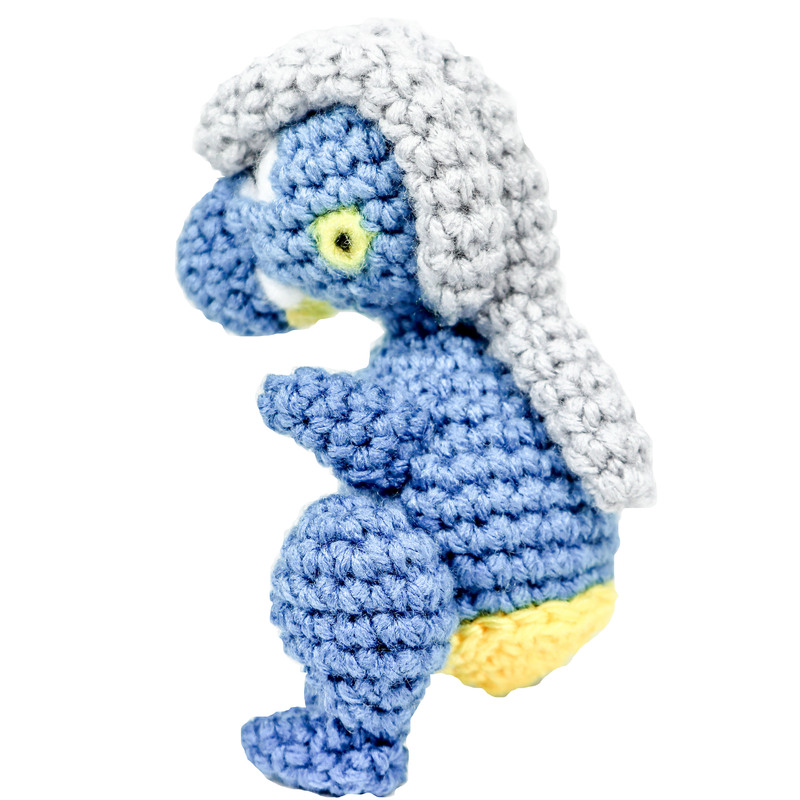 Note- Bagon will NOT easily stand up on its own if legs are placed as shown in pictures- if you don’t want him to do always have balance or lean on something to stand upright you could attach his legs in a ‘sitting’ position. Attach arms above legs. Finally- the last details (eyes, jaw, teeth and ears (?)) 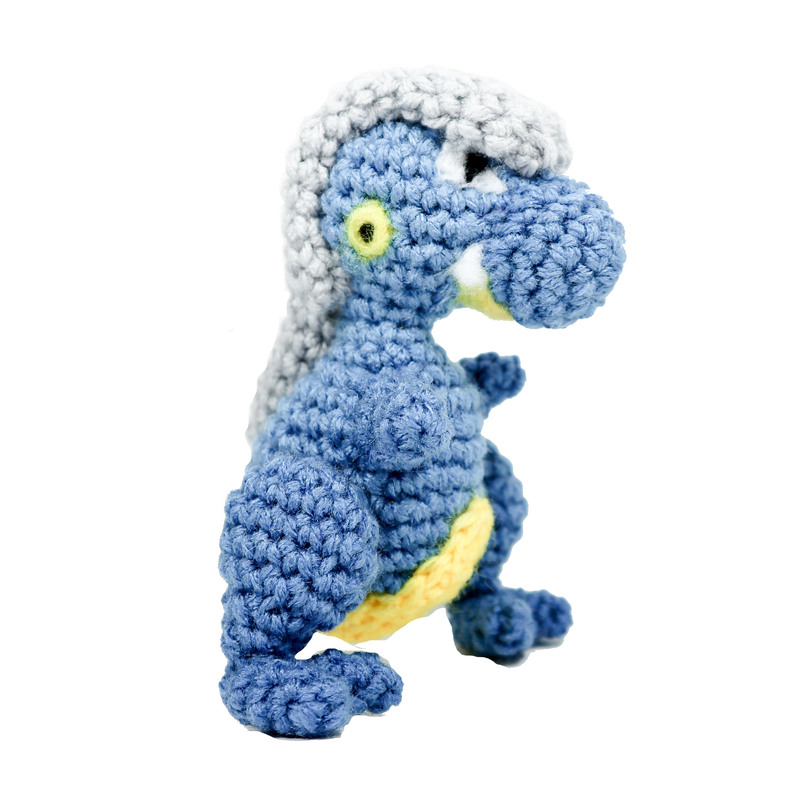 were added by needle felting onto the appropriate places. Alternatively one could cut out felt pieces and glue on accordingly. 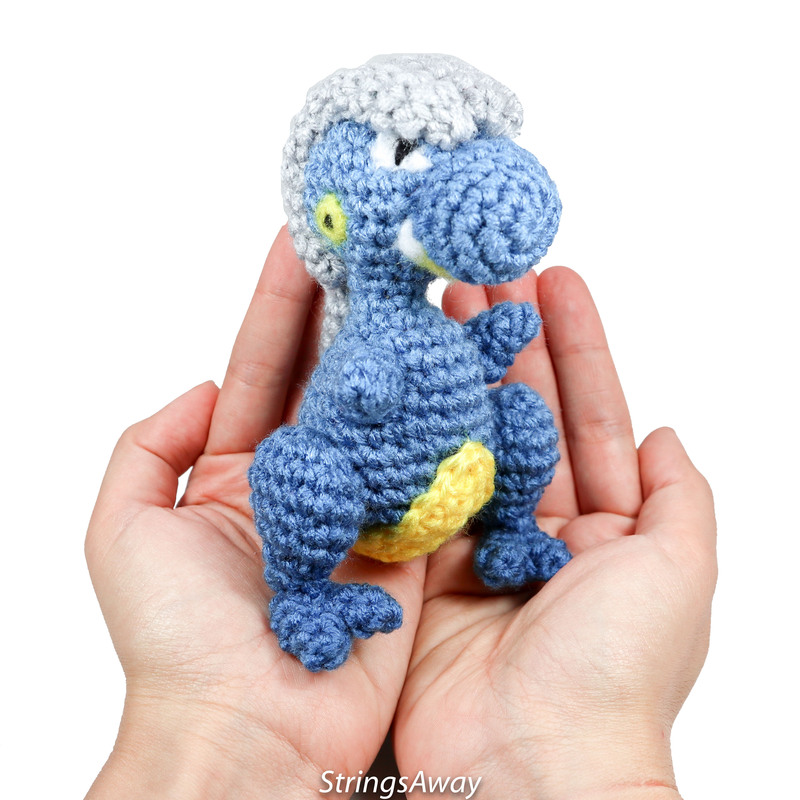 I hope you enjoy your Amigurumi Bagon! 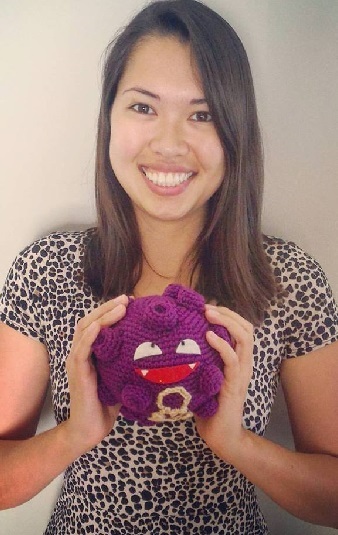 Thank you for trying this pattern – I hope you enjoy your Amigrumi Bagon!